and there you have it: a gooey, irresistible dessert. And won’t we forever appreciate the simplicity of the sweet in its unaltered form? But I can't help but see this naked treat as a blank canvas for creativity. Really, anything is possible. The sky’s the limit and open to courageous experimentation. For instance, I found a clipping I’d saved from a 2012 Huffington Post regarding gussying up basic Rice Krispies® Treats with Oreos®, chocolate and peanut butter Kit Kat Bars® or Butterfinger® candy bars, confetti cake batter, cranberries and white chocolate, dried fruits such as strawberries, Fruity Pebbles® cold cereal, caramel and chocolate chips, browned butter and even browned butter with bacon, almond butter or hazelnut butter, lemonade, Nutella®, pistachio pudding, and so on and so on. See how the old imagination can run wild with this basic treat? So what follows are some tips and a few recipes that will help to dress up this adored childhood dessert onto a more adult path. 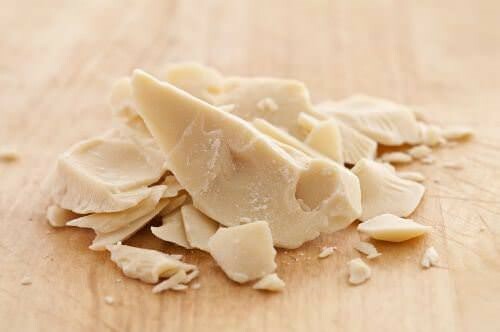 Look for white chocolate chips made with cocoa butte r instead of vegetable or coconut oil. It’s an excellent source of antioxidants. And it adds a rich, extra creamy depth of flavor you don’t get from vegetable or coconut oil. So paying a little extra for white chocolate chips made with cocoa butter is worth it. Don’t skimp on the marshmallows. This is not an area to be stingy—the more marshmallows, the better. The experts avow there's no such thing as too many marshmallows. Not using enough marshmallows yields boring treats tend to fall apart easily. Use a minimum of 1½ cups of marshmallows (that’s a little more than a standard size bag of large marshmallows). But again, don’t hesitate to use more. For extra marshmalloy treats us a 1:1 ratio of marshmallows and cereal. Don't use old marshmallows. After marshmallows have been sitting around for a while, they start to dry out and the exterior gets firm. This means they don't melt nearly as well. Instead of becoming soft and gooey, they melt into a one giant blob which is almost impossible to work with. (Ask me how I know this.) The best idea for a bag of old marshmallows? Hot cocoa. Don't crank the heat on the stovetop too high. While it’s tempting to turn up the heat to speed up melting the butter and marshmallows, resist the urge. 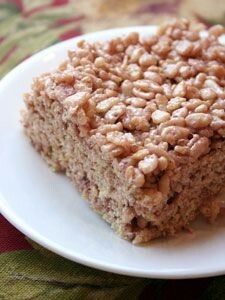 High heat is the prime culprit for rock hard Rice Krispies® treats. Instead, melt the butter and marshmallows over low heat. You'll be rewarded with delicious, soft and chewy treats (the ultimate goal)! Don’t let them sit around—eat them up quickly! Duh, you say. I know this tip may not be necessary, but the point being made is that they dry out. Don’t try to keep them around longer than 3 days (does this ever happen?). Even covered they start to dry out and lose their chewiness. Don’t be afraid to add extra ingredients. And this last tip takes us back to the theme of this article—putting Rice Krispies® treats onto a gown-up path. For most add-ins there is no recipe necessary. Just fold in or top with your choice of ingredients. However, if you top your pan of treats with a chopped or chunked candy bar (Butter Finger®, Kit Kat®, Snickers®, etc, for instance), then place the pan under the broiler for a minute or two to allow things to melt. As soon as they melt, spread them over the treats. I found that 6 large candy bars will cover a 9x13 pan of treats adequately. But 8 or 9 will cover the treats sumptuously! Also, if you want to fold in caramel ice cream topping (or any flavor topping), you’ll use fewer marshmallows. A good ratio is 1 small jar of topping to 4 cups of marshmallows and 6 cups of Rice Krispies®. 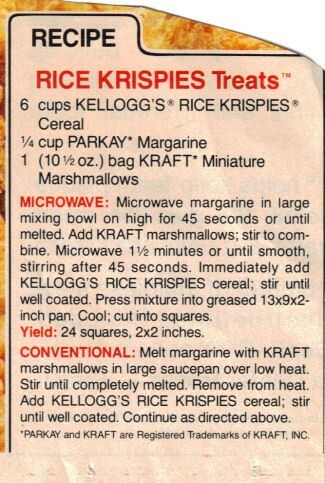 But if you use melted caramels, keep the marshmallows at 5 or 6 cups and the Rice Krispies® to 6 cups. Butter a 9 x 13-inch baking pan. In a large pan on the stovetop, melt the butter over low heat. Add the marshmallows. Stir until the mixture is melted, hot, and smooth. Add the vanilla. 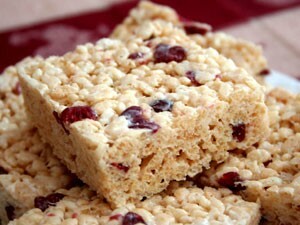 Add the white chocolate chips, rice cereal, and cranberries. Stir until the cereal is uniformly combined with the marshmallow mixture. Remove the mixture to the buttered pan. Evenly distribute the mixture and press it down into the pan with buttered fingers, a piece of waxed paper, or a spatula. Let cool and cut into squares. 1. The white chocolate chips will melt in the hot marshmallow mixture. 2. If you use a large enough pan, you can mix the treats right in the pan, not in a bowl. The hot pan makes it a little easier to stir the mixture together and there is less clean-up. Butter a 9 x 13-inch baking pan. Set aside. In a large pan on the stovetop, melt the butter over low heat. Add the marshmallows. Stir until the mixture is hot, melted, and smooth. Remove from the heat. Add the vanilla, white chocolate, and jam and stir. Add the cereal and stir until the cereal is uniformly combined with the marshmallow mixture. Remove the mixture to the buttered pan. Evenly distribute the mixture and press it down into the pan with buttered fingers, a piece of waxed paper, or a spatula. Let it cool and cut it into squares. First, fry up your bacon to desired crispness, then place on a paper towel-lined plate to drain. Once cool, chop into small pieces. While your bacon is cooking, butter an 8x8-inch pan. Melt the butter in a large saucepan over medium-low heat. Once it melts, continue to cook the butter (standing by and paying VERY close attention, as it burns very quickly). Stirring every so often, let the butter first froth and foam, then start to darken a bit in color, then start to look brown and smell very nutty and toasty. The butter solids will start to brown a bit as well, so make sure to keep stirring to keep them from sticking to the bottom of the pan and burning. As soon as it looks brown and smells nutty, turn off the heat and stir in the marshmallows. Stir until completely melted. Then take the pan off the heat and stir in the Rice Krispies®, sea salt, and bacon chunks until well-combined. Spoon the mixture into the prepared pan and, using the back of a spatula that has been sprayed with cooking spray, press the mixture hard into the pan to make sure it fills all corners. 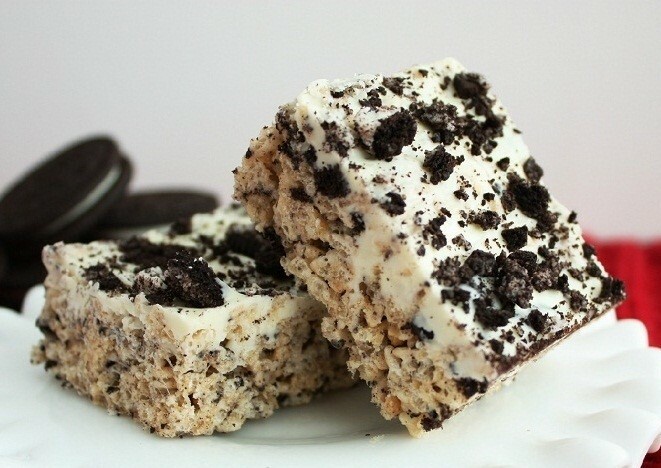 Allow the treats to cool, then cut into squares and serve!